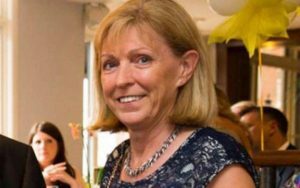 ITV has commissioned a fast turnaround documentary about the shocking murder of Lancashire woman Sadie Hartley. Production company Raw Cut TV was given "extraordinary" access to Lancashire Police as the investigation unfolded into a crime that the prosecutor said was committed with "demonic savagery". Last week Sarah Williams and Katrina Walsh (above) were found guilty of the 60-year-old's murder and given life sentences. The Murder Of Sadie Hartley will be screened on ITV on Thursday September 1 at 9pm. Sadie's daughter Charlotte, 23, are among those that take part. Steve Warr, executive producer for Raw Cut TV, said: “We were privileged to get the inside story of the investigation into who killed Sadie and the story that evolved is stranger than any crime drama. Cameras will follow detectives as the case unfolds from the crime scene to the dawn raid in which key suspect Williams was arrested, and the moment the murder weapon and other key evidence is discovered and ultimately to the arrest and conviction of the key suspects. Steve Warr is executive producer of the 90-minute documentary, and the producer/director is Jamie Batten, for Raw Cut TV. Sue Murphy, ITV's head of factual entertainment, said: "This unique documentary takes the viewer behind the walls of the police station to show how the detectives involved set about solving this incredibly complex crime and gets under the skin of the officers to reveal their inner thoughts and emotions. "Rich in detail and totally compelling, the film never loses sight of the fact that at the centre of this tragic story is a violent act which strikes at the heart of a loving family."